as you ought to strive. Therefore, when you are free (from your immediate task), still progress (towards a higher station), and make your Lord your exclusive goal. All praise and thanks are due to Allah Most High, and may His benedictions and salutations be upon His messenger, and the progeny and companions of His messenger. This short guide is a response to one who wishes to take the path of faith, hope, and love so that he might become complete and perfect as he was created. It was written to answer his questions about what he should believe in and what he should do in the beginning, before anything else. O you who yearn for eternal beauty, traveler on the path of the true wish, may Allah make you successful in knowing the true way, finding it, and being upon it. May He use you and us in actions that please Him and are done for His sake. For the beginning and the end and what is in between, and success in them all, belong only to Him. The way and means to eternal salvation and bliss is in coming close to the Truth. Allah Himself teaches us the meaning of His closeness to us. He teaches us by sending us His prophets. We say, "we believe." It is the truth. We accept and confirm it. The only thing then left for us to do is to follow the teachings and the example of His prophet. First, you must believe in the oneness and uniqueness of the One who is before the before and after the after, who created us and everything else, and you must not associate with Him anything unbefitting the purity of His Essence. Any thought, any word, any quality or attribute not corresponding to this principle is a falsehood, unworthy of the Divine. Therefore seek no further than the fact that none resemble or are like Him. That is His reality. 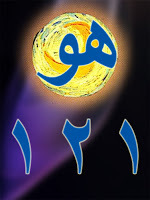 This is also confirmed by the declaration of His messenger, who said, "At the beginning was Allah, and none with Him." The ones who followed him added to this statement, "It is now as it was." As it was before the creation, it is after the creation. From the time when matter was hidden under the veil of nonexistence and there was no form, nothing has been added or subtracted. Though He has created the creation, still there are none like Him. Nothing is like Him. Nothing is Him, but everything is from Him. The divine word that He is without likeness cancels all other thoughts, claims, and interpretations. Do not spend your life in empty endeavors and your time in idle talk. Instead, reflect and remember Allah, read the Qur'an, guide the misguided to the enlightened path. Help others leave evil and turn to doing good. Mend broken friendships. Help others to help others. Find the right friend, who will be a support for you, a good traveling companion on the path of truth. Faith is a seed. It grows into a tree with the beneficent watering and sunshine of faithful friends. Look for a perfect teacher who will lead you on the straight path. In your search for a guide, be sincere, because sincerity distinguishes the true seeker. It is certain that if you cling to sincerity and truthfulness, the Lord will manifest His attribute of the Ultimate Guide upon you and will guide you to a perfect teacher. Sincerity in the seeker is such a blessing that when it is present, Allah will even turn the accursed devil himself and the seeker's personal devil, his ego, into angels of inspiration serving him. Sincerity is such a catalyst that it turns lead into gold and purifies everything it touches. A matter of the greatest importance, one of your greatest needs, is to be sure that the morsel of bread you put in your mouth is lawful. Lawful sustenance, the lawfulness of all you enjoy in this world, is the foundation of your faith. It is upon this foundation that your religion can be built. To advance in this path, in the footsteps of the prophets (peace and blessings be upon them), you have to be light - light in worldly goods, light in your concerns about this world. An unmistakable sign of the heaviness that will prevent you from advancing is to be a burden on people. Neither be a freeloader nor let others carry your load. Particularly, don't accept goods and favors, either for yourself or for others, from people whose hearts are dead, submerged in the sleep of heedlessness. Allah has blessed you with intellect, knowledge, profession, strength, and health. All grace and power are due to Him. Use these to gather as much of your sustenance as possible in the minimum of time. Do not sleep until you are unable to stay awake. Do not eat until you are hungry. What is essential for you is to be heedful at all times, to be attentive to what comes into your mind and your heart. Think about and analyze these thoughts and feelings. Try to control them. Beware of the wishes of your ego, settle your accounts with it. Have conscience, shame, in front of Allah. That will be a motivation to make you heedful. Give value to your time, live in the present moment. Do not live in imagination and throw your time away. Allah has prescribed a duty, an act, a worship for your every moment. Know what it is and hasten to do it. First perform the actions He has given to you as obligations. Then do what He has given to you to do through the example of His Prophet. Then take on what He has left you as voluntary, acceptable good deeds. Work to serve the ones who are in need. Do everything you do in order to come close to your Lord in your worship and prayers. Think that each deed may be your last act, each prayer your last prostration, that you may not have another chance. If you do this, it will be another motivation for becoming heedful and also for becoming sincere and truthful. Cleanliness is an order of Allah. Keep your body and your inner self clean at all times. Do not be satisfied with your spiritual state; advance. Advance ceaselessly, without interruption. With firm intention pray to Allah, the Ultimate Truth, to bring you from the state in which you are to a state beyond it. In every state, in every move, while doing a thing or while being inactive, be sincere and truthful. Be with the Ultimate Truth. Do not ever forget Him. Feel His presence always. Learn to give, whether you have plenty or little, whether you are happy or in pain. This is a proof of your faith in Allah. Try to satisfy the needs of the needy. Wake before sunrise, remember Allah, and repent. When repentance follows sin, it erases it. The sin disappears as if it never happened. When repentance follows a benevolent action or prayer, it is like light upon light, grace upon grace. To remember Allah and to praise Him unifies the heart when it is scattered all around - like a mirror broken into a thousand pieces - and mends it, makes it into one, and turns it towards the One. Then all trouble leaves the heart, and it is filled with the joy of the One whom it remembers. The fear of Allah is a protection, the thing that guards you from harm. Allah's protection is the strongest of all armor, of all fortifications; no harm can penetrate it. That is what divine fear secures for you. The Prophet of Allah, whom He sent as His mercy upon the universe, himself took refuge in his lord. Praying to Him, he said, "I take refuge in Your pleasure, in Your beauty, in Your gentleness, from Your wrath and Your strength. I take refuge in Your divine mercy and compassion, from your punishment. I take refuge in You from You." Someone who chooses this temporal world over the true good of the eternal Hereafter will never reach his goal, either here or there. For the ambition of one who is ambitious for this world will never be satisfied. The desires of this world are like sea water. The more you drink of them, the more you thirst. May the Eternal Truth wake you from the slumber of heedlessness. May He make you aware of the origin, to which we will all return and in which we will all remain for the rest of eternity. May the Divine Seer of all and everything open your inner eye, so that you can see and remember what you have done and said all through your life in this temporal realm of experiments. Then you will know and always remember that you must account for it all and that you will be judged on the day of final judgment. Do not leave your accounting to the Day of Reckoning. This is the place and the time to do it. See yourself, close your accounts. The only way to salvation is to go into the Beyond clean and clear of debts. Give heed to the advice of the Prophet (peace and blessings be upon him) who said, "Make your accounting before it is made for you, weigh your sins before they are weighed for you." Examine your life; weigh your transgressions against your good deeds. Do it while you still have time in this world of numbered breaths, while you can, before you are left alone in that dark hole in the ground. against the Way of God, and peace. Heretic! Deviate toward the Law! is ignorance. Station and state discard it. (and peace be his) - for he said not a word! - A brief selection from the valuable classic manuscript "Kunh ma la Budda Lilmurid Minh" / 'What the Seeker Needs' (Written in Mosul in 1204) by Great Saint and Mystic Master Muhiyiddin Ibn 'Arabi, may Allah bless his soul, Translation in English by A. Jeffrey (1962).